If there is a paradise on earth, it has to be Tahiti. Although Tahiti is actually just one island; in the minds of many people the name represents the entire group of islands that comprise Tahiti & Her Islands, located in the South Pacific. The region consists of 118 islands in five archipelagos, or groups of islands - the Society Islands, the Tuamotos, the Marquesas, Gambier and the Australs archipelagos. 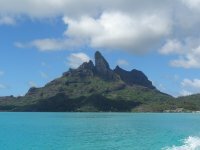 The best known group is probably The Society Islands whose most visited islands are Tahiti, Moorea, Huahine, Tahaa, Raiatea, Bora Bora, and Maupiti. Then there are the low islands located in the Tuamotus - Rangiroa, Tikehau and Manihi are the most well-known. Then there are the Australes, Gambier and the Marquesas. 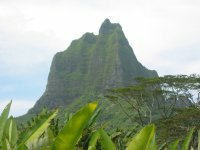 Tahiti & Her Islands are legendary for beautiful volcanic peaks, rich smelling flora, beautiful lagoons and waters, and the sound of the French language in the air! It's a very sensual place - a feast for your eyes, ears, mouth and nose. Time and stress melt away in Tahiti and you soon understand why so many people came to Tahiti and never left its shores. 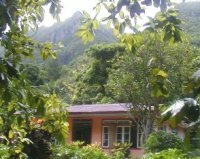 We have been to the islands of Tahiti many times and can help you plan your dream vacation in paradise that is Tahiti and her Islands. Tahiti is where you enter the world of French Polynesia because the airport, Faa’a is located next to the town of Papeete. It is a wonderful island to visit with its market, its many museums, the roulottes (food vans) that congregate at the dock every evening, outdoor restaurants, black pearl shops. The island is 50 miles around and we recommend that you take a self-drive to truly discover this beautiful island. While there you can take a safari tour, go hiking, scuba dive, do a Circle Island Tour, and go surfing. You can see Moorea from Tahiti as it is only a 30-minute catamaran ride or a 10-minute flight from Papeete. The island is only 38 miles around and has two roads, one that goes around the island and the other that goes up to the Belvedere Lookout where you get a fantastic view of Cook’s Bay and Opunohu Bay. Tiki Village is located here as is the Moorea Dolphin Center at the InterContinental Moorea. There are white sand beaches as well as fantastic view of the volcano plus a Distillerie and wonderful shops. On Moorea you can take a safari tour, play golf, lagoon cruise, see dolphins in the wild, go snorkeling or go scuba diving. 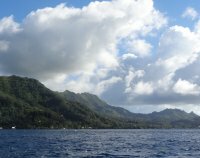 Huahine is called the “Garden of Eden” and isa 40-minute flight from Papeete and is 110 northwest of Tahiti and 25 miles from Raiatea. It is has 47 square miles and has a population of about 6,000. It is known for having some of the best-preserved archaeological remains in French Polynesia. In October, Huahine is the departure point for the Hawaiki Nui Va’a, a major outrigger canoe race in French Polynesia, where for three days more than 100 traditional canoes compete between Huahine and Bora Bora. The lagoon of Bora Bora has to be seen to be believed. The translucent blues and the greens of the lagoon could have been painted by an artist and rising above the lagoon is a volcano with two peaks - Pahia and Otemanu and that is where the main town of Vaitape is located. The island is only 18 miles around but the lagoon is surrounded by little motus (islands) on which are located resorts and the lagoon is filled with tropical fish. The airport is on an motu and you take a water taxi to your resort and once there you feel like you have arrived in Paradise. Rangiroa is part of the Tuamotu Atolls which are the low islands. It is the largest atoll in French Polynesia and is only an hour flight away from Tahiti. Unlike Tahiti, Moorea, Huahine, Raiatea, Tahaa and Bora Bora, their volcano has sunk into the ocean and you have ocean on one side and a lagoon on the other side. 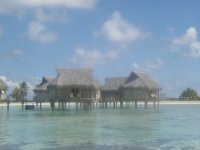 Rangiroa is a natural aquarium and is a wonderful place for divers and yachtsmen. There are only two ocean passes, Tiptu and Avatoru, leading into the lagoon which make for wonderful drift snorkeling as you enter the lagoon along with the fish from the ocean. The colors of the lagoon are truly amazing as well as the fish that inhabit their waters. Manihi is another atoll that is close to Rangiroa and is famous for its pearl farms. Here you can take a tour to a pearl farm and learn all about how a “grafter” will implant a round portion of a Mississippi River mussel shell into a black pearl oyster and that graft will create the black pearl as the oyster resides in the pristine lagoon. Manihi is also wonderful for diving and snorkeling and just relaxing by its beautiful lagoon. Tikehau is only a few miles from Rangiroa and has a beautiful lagoon that has a look of a natural swimming pool surrounded by pink sand beaches. Here you can visit a natural lagoon aquarium and swim with the fish, go to an island of birds or take a sunset cruise. Now open on Tetiaroa - “The Brando”. Marlon Brando bought the coral atoll in 1966 when he was filming “Mutiny on the Bounty”. Tetiaroa is an atoll in the Windward Islands, has a 4.5 mile diameter and is surrounded by 13 motu islets.